Its measured response is designed to inflict political and economic pain on the United States. China imposed tariffs on a relatively modest $3 billion in American imports. 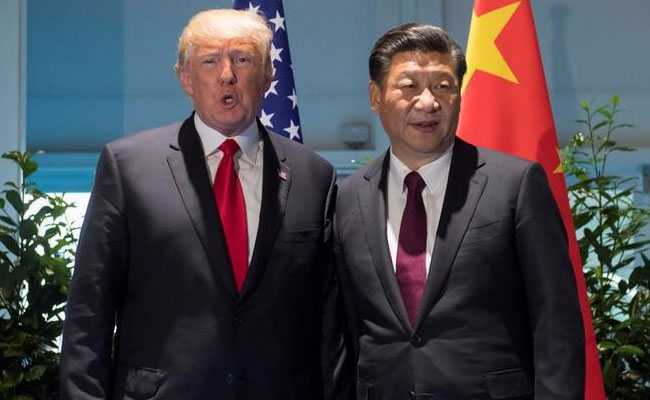 The Chinese government designed its first concrete response to President Donald Trump's recent wave of protectionist policies to inflict noticeable political and economic pain upon the United States while remaining within the bounds of global trade rules. 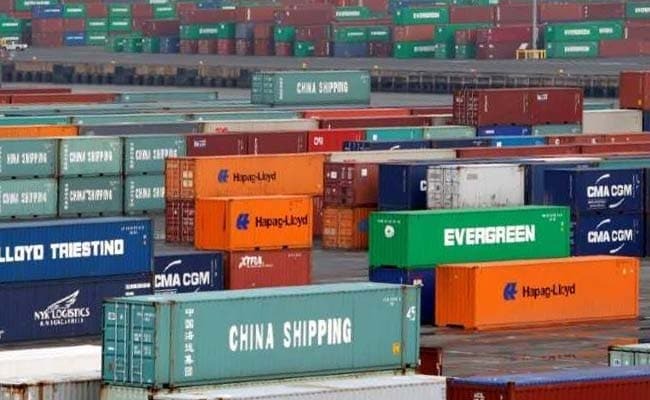 China imposed tariffs on a relatively modest $3 billion in American imports. But by hitting numerous products, including fruit, wine, ginseng and pork, that affect congressional districts across the country, China demonstrated that it can exert pressure within the American system. The goal was to demonstrate resolve without escalation and to encourage disadvantaged farmers and workers to complain to their elected representatives. Beijing is prepared to engage in a slugging match, but its preferred solution to the deepening trade dispute remains a diplomatic outcome, analysts said. "This is a negotiating tactic," said Jeff Moon, a former U.S. assistant trade representative for China. "They tried negotiating by hinting at concessions. This is hinting at the sharp end of the stick." China also is being careful to act within the rules of the global trading system that were established under U.S. leadership over the past seven decades. As it broadens its global role, Beijing is eager to portray itself as a responsible actor in contrast to a rogue United States that is withdrawing from treaties and shunning multilateral cooperation. China's measured response thus far is meant to show that "they stand on the moral high ground here," said Claire Reade, a former U.S. trade negotiator now with Arnold & Porter. Chinese officials previewed their $3 billion action in public comments March 23, one day after Trump announced that he intended to impose tariffs on up to $60 billion in imported Chinese products, including aerospace, information technology and machinery. But Chinese officials billed their tariffs as a response to Trump's earlier import levies on steel and aluminum. Like the European Union, which also objected to Trump's metals tariffs, the Chinese rejected the president's claim that his actions on steel and aluminum were justified by national security considerations. Instead, China and the EU said the United States had acted on economic grounds, seeking to protect its industries from an unwelcome flood of imported products. In that event, under the rules of the World Trade Organization, China was authorized to retaliate. "U.S. unilateralism allows China to play the victim," said one trade attorney, who was not authorized to discuss the matter and spoke on the condition of anonymity. The products that China has selected for retaliation also are not essential to its role in the global supply chain. Raising the cost of imported dried fruit won't affect Chinese factories that make cars for General Motors or smartphones for Apple. The next movein the Sino-U.S. trade fight will be the U.S. trade representative's publication of the roughly 1,300 separate tariff lines it intends to increase as part of a separate action in response to China's policy of forced technology transfer. Expected soon, that list will trigger a 30-day comment period before the tariffs are finalized. China's eventual response will probably remain within WTO bounds and leave room for talks between the two sides, Moon said. Darci Vetter, a former U.S. trade negotiator, said that American farmers will probably bear the brunt of any additional rounds of Chinese tariff increases. China last year purchased $19.6 billion in agricultural goods from the United States, ranking it second in foreign markets. "You saw them react to steel and aluminum. Within the next week, we'll see bigger [U.S.] tariffs. We should expect to see retaliation for that as well," she said. "Ag is in the crosshairs." Chinese bureaucrats have a range of powers they can exercise to slow or discourage the movement of U.S. products into their country without running afoul of WTO norms. Health inspections, paperwork delays and routine trade remedy cases all may proliferate. On March 28, the Chinese Ministry of Commerce launched an investigation into complaints by Chinese oil and chemical producers that U.S. companies were dumping, or selling below cost, phenol, a substance used in synthetic fibers, plastics, medicine, pesticides, and oil refining. Under Commerce Ministry rules, that probe could continue until the end of September 2019. "What they've put out so far isn't the worst they could do," said Christine McDaniel, a former trade economist in the George W. Bush administration.